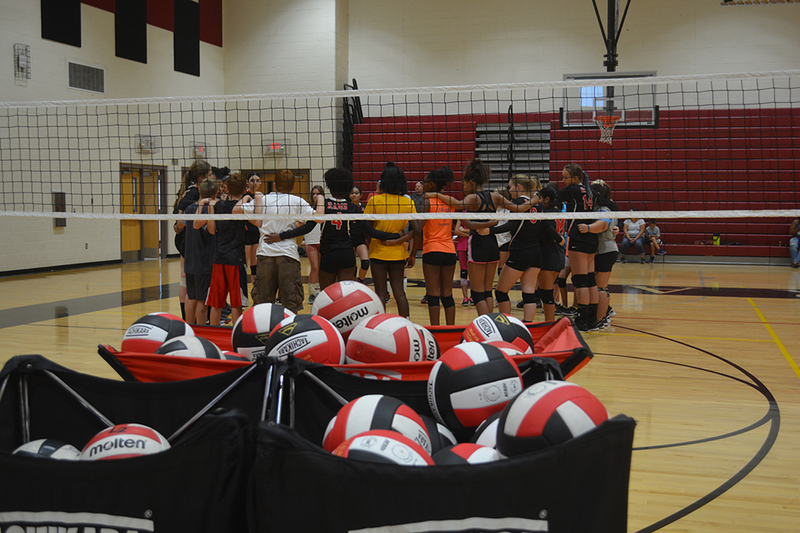 Supreme confidence is evident with this season’s Maricopa High School varsity volleyball team. 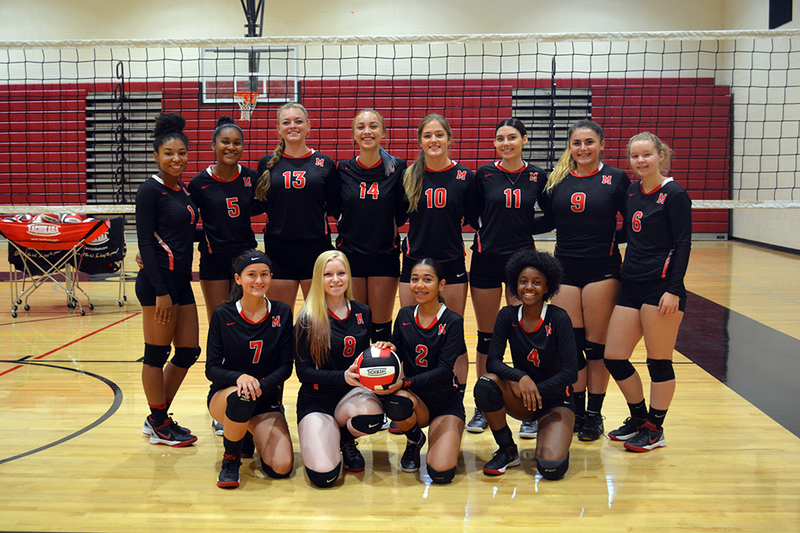 The girls who fell just two points shy of making the playoffs last season have something to prove. Anchored by a group of steady seniors and gifted juniors, the Rams have set their sights high. Coach Jecksan Quinones repeats often how excited he is about the upcoming season, which starts Aug. 29 at Vista Grande High School. 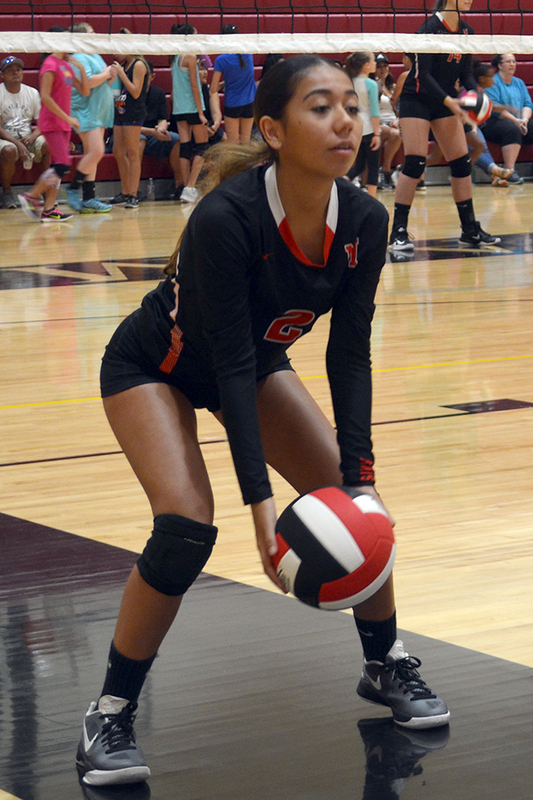 The first home match is Aug. 31 against Paradise Valley. 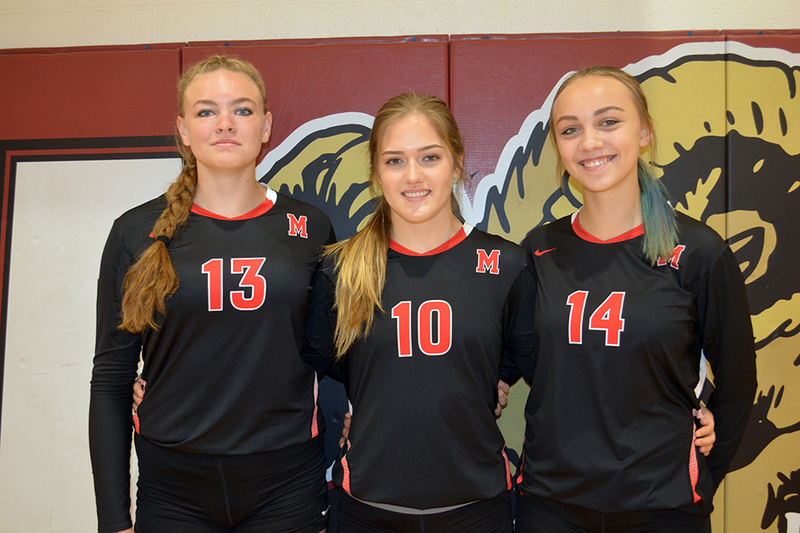 The team’s three seniors like the camaraderie that’s developed within the 2017 edition of the volleyball Rams. “We have a lot of good players and a lot of positivity,” Lissette Duarte said. 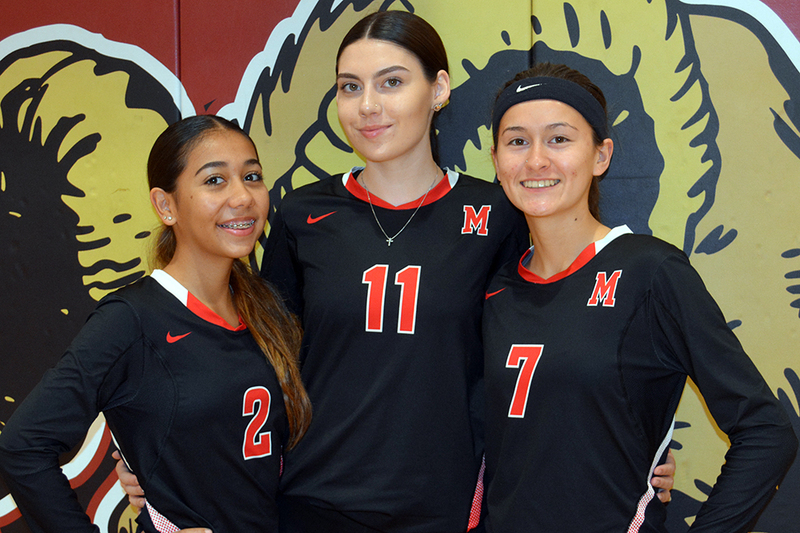 “Our team is very young, but I think we all have good team-bonding, so I think we’re going to have great team chemistry,” Teresa Delacruz said. 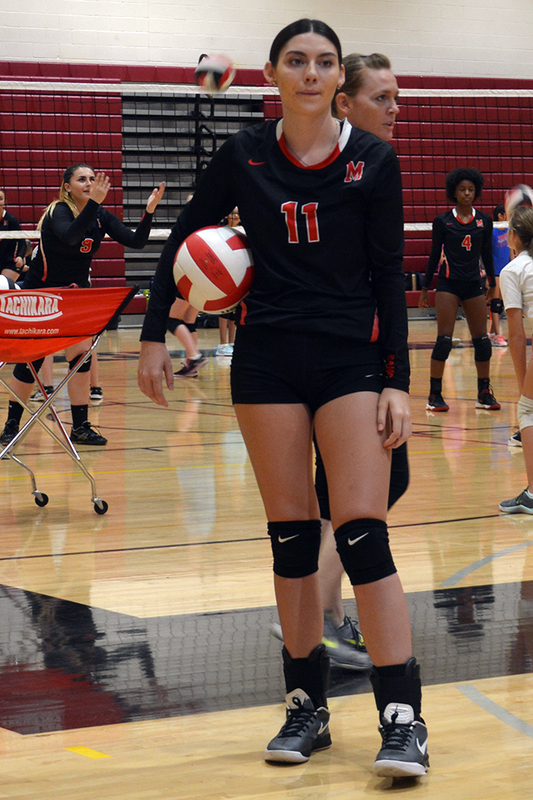 Jaylene Gosselin was on varsity her sophomore year and was team manager as a junior. This year, she’s back on the court. “We have a lot of strong players this year. 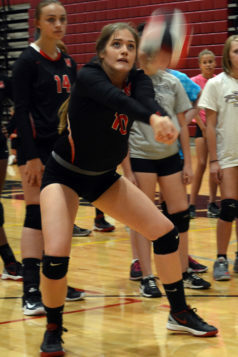 I think it’s going to be a good season,” she said. Quinones has five freshmen coming to varsity, including 6-foot-0 Alexis Powell, but their talent might belie their age. “We communicate with each other. We trust each other and we just know how to play with each other,” Powell said. Coach Quinones said despite having only a week of practice under their belts since team selections, they are already running offensive plays. He estimated the Rams are a week and a half ahead of schedule in their development. 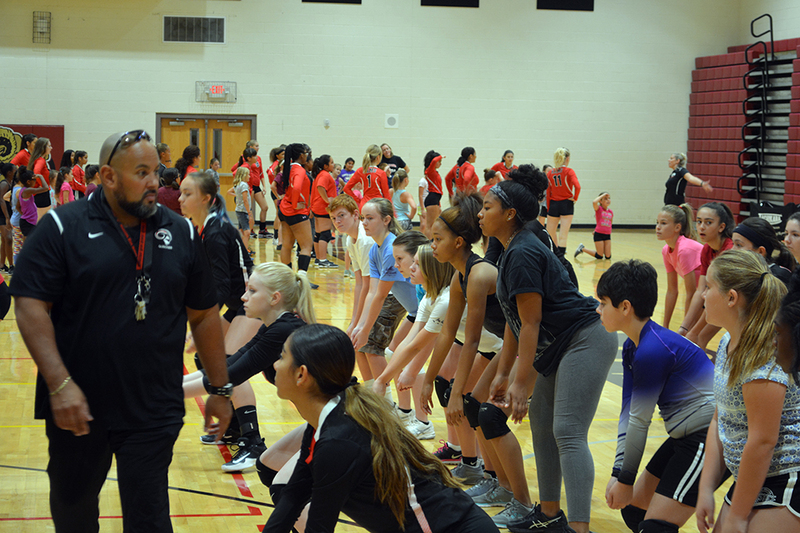 Barring an unexpected setback, he is confident the girls will make the playoffs. Coach Jecksan Quinones looks over minicamp.